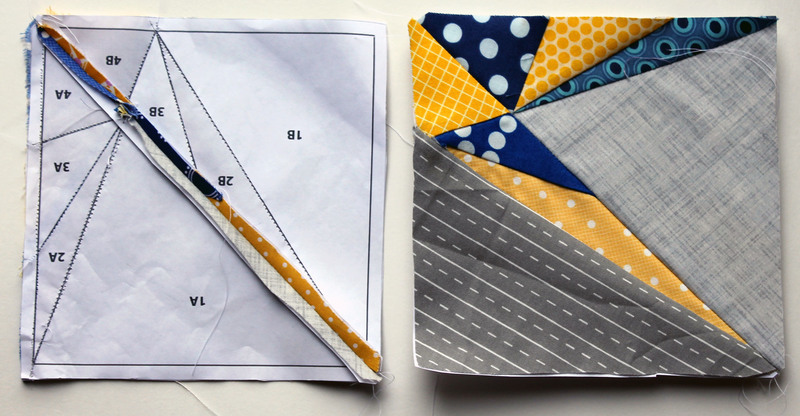 This week’s paper piecing blocks are in destined for the Quilts for Boston project. 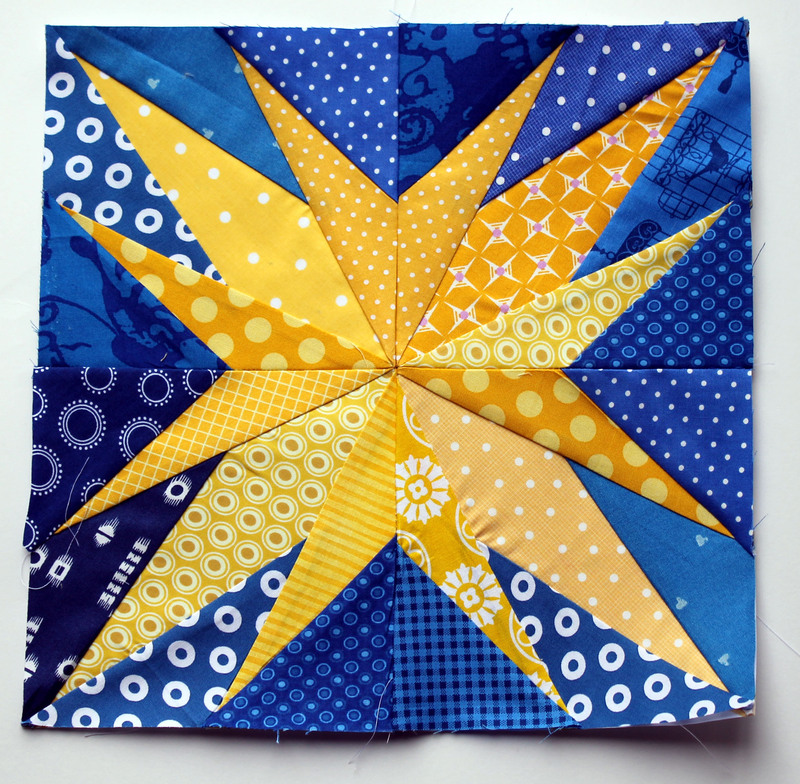 Last week the Boston Modern Quilt Guild put out a call for blocks, in the Boston Marathon colours, that will be made into quilts that will be “distributed those who would benefit from a show of support”. 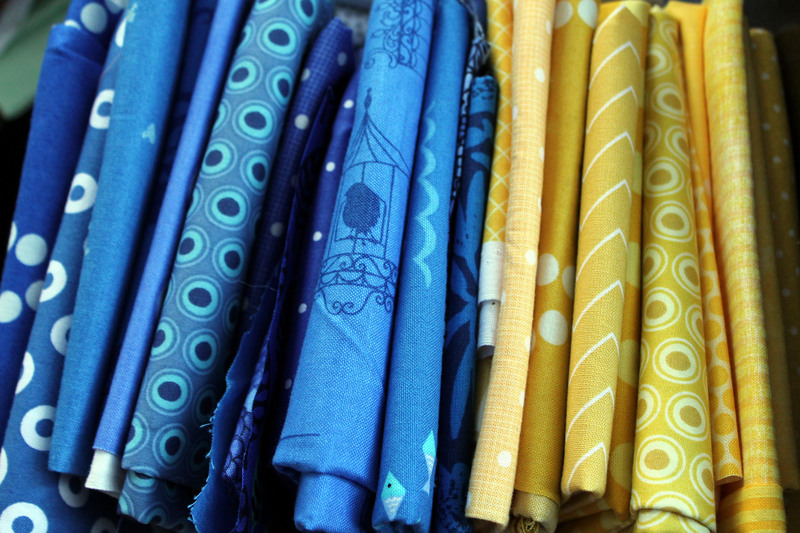 So I grabbed some fabric…..
And went in search of some paper piecing patterns. 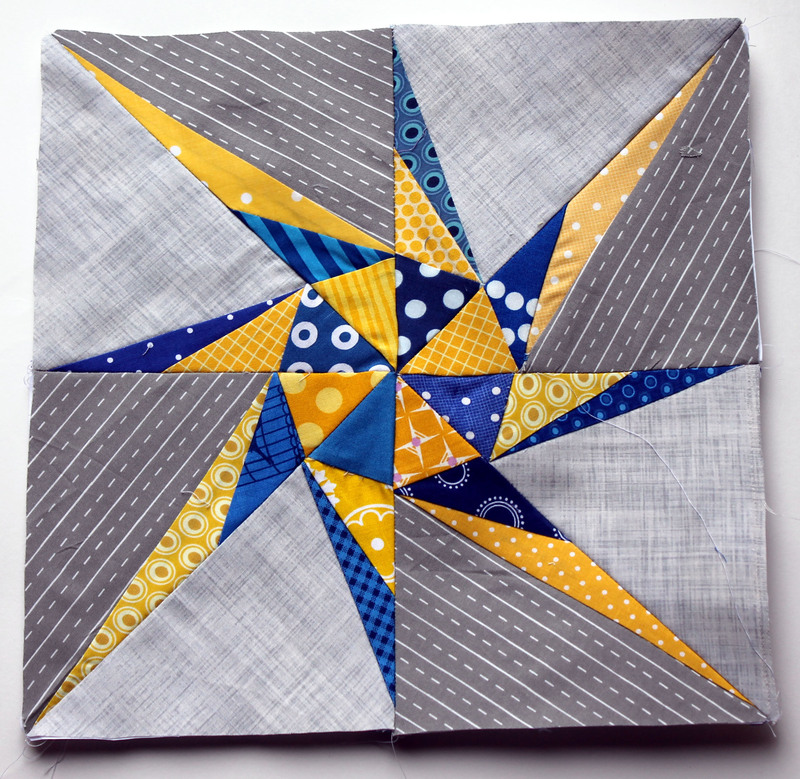 I eventually decided to use two of the fabulous Lucky Star Block of the Month (BOM) patterns from Elizabeth at Don’t Call me Betsy. I signed up at the beginning of the year for the monthly paper piecing fix and I have been thoroughly enjoying making the patterns each month. I picked two of my favorite stars so far to make this week. Block 1 is test block that we got in January, when the program started. 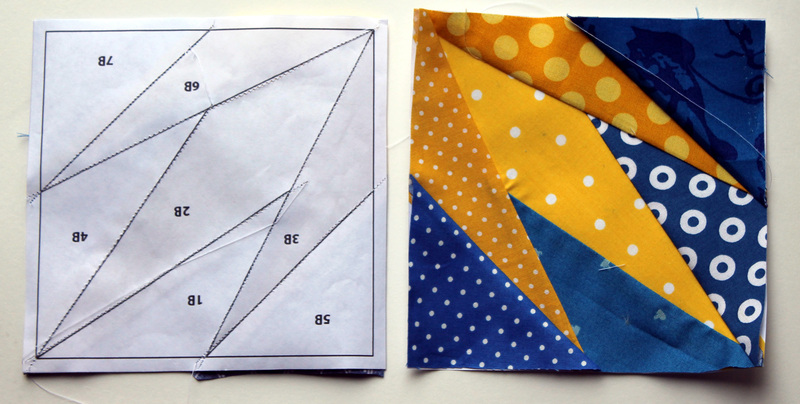 The block is made up of 8 triangle sections which give you a lot of options for playing with fabric and colour. The second block I did was a simpler pattern from the series, but still lots of fun. This blocks is made up of four sections and was really quick and easy to pull together. I am hoping to get some more blocks done this week, and I will post as I finish them. New reader here… LOVE these. Colors, fabric choices, execution. I dig. They look awesome! Very striking contrast on the second one! As always, loving these blocks. I think the second one is my favorite bc the yellow is just so vibrant and cheery. Now I want to sign up for the paper piecing bom. Ha! You have inspired and monster! I love this block because it is so precise, and just awesome. BUT, I lllloooovvvveeee this block because I’m a runner and it touches my heart. Thanks for thinking of all the Boston peeps over here and making something special for them! That is just awesomeness at it’s best! I tried to comment earlier, but was having problems with my WP account. So if you get a duplicate, sorry about that. I just wanted to make sure I told you how much I loooovvvvveeee this block. As a quilter I love the precision, as a runner, it touches my heart! I can’t thank you enough for making a Boston block and caring about the peeps who’ve been so terribly affected by all this! Thanks so much!